By now, the low-carb diet's refrain is a familiar one: "Bread is bad for you. Fat doesn't matter. Carbs are the real reason you can't lose weight. 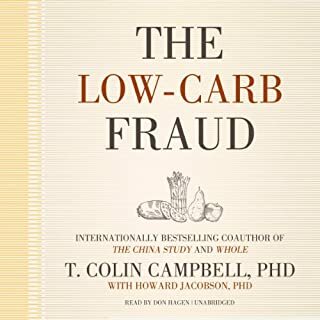 In The Low-Carb Fraud, longtime leader in the nutritional science field T. Colin Campbell outlines where and how the low-carb proponents get it wrong: Where the belief came from that carbohydrates are bad and why it persists despite all the evidence to the contrary. The foods we misleadingly refer to as "carbs" aren't all created equal, and treating them that way has major consequences for our nutritional well-being. There is no better way to kick-start your transformative journey than to embrace the vegan revolution and rely on it to power your athletic and bodybuilding goals. 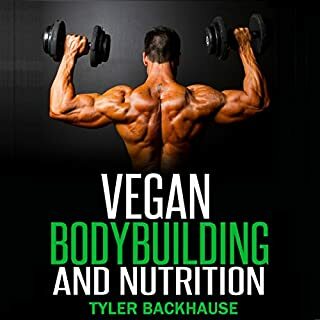 Whether you are new or old to veganism or bodybuilding, this book will help you find your way to reaching your goals. Every apple contains thousands of antioxidants whose names, beyond a few like vitamin C, are unfamiliar to us, and each of these powerful chemicals has the potential to play an important role in supporting our health. They impact thousands upon thousands of metabolic reactions inside the human body. But calculating the specific influence of each of these chemicals isn’t nearly sufficient to explain the effect of the apple as a whole. Because almost every chemical can affect every other chemical, there is an almost infinite number of possible biological consequences - and that’s just from an apple. Nutritional science, long stuck in a reductionist mindset, is at the cusp of a revolution. The traditional gold standard of nutrition research has been to study one chemical at a time in an attempt to determine its particular impact on the human body. These sorts of studies are helpful to food companies trying to prove there is a chemical in milk or prepackaged dinners that is "good" for us, but they provide little insight into the complexity of what actually happens in our bodies or how those chemicals contribute to our health. ©2013 T. Colin Campbell (P)2013 Blackstone Audio, Inc.
this was such an eye opener. A really good book, well put together. Well researched. A really good read around nutrition and health as well as the bias in society around reporting on what is healthy nutrition and disease prevention. Note: Can get a little technical at times. Very informative, well thought out. 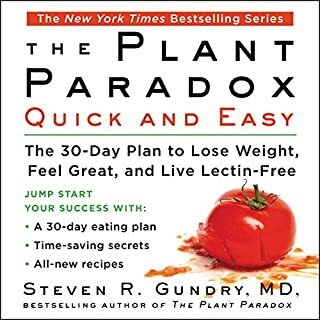 Would recommend to anyone interested in WFPB diets/lifestyles. 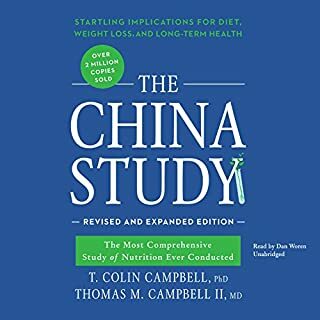 Great follow up to 'The China Study'. 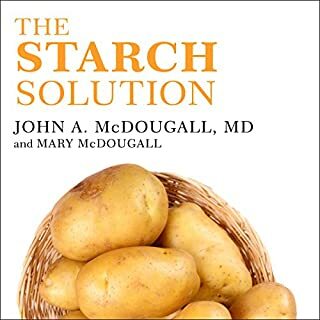 If you eat a typical western diet then this book could save your life! If you've read his other book, The China Study, then you won't learn too much more here but it's still brilliantly written and very informative. Is less educational and more of a need at the system in general that brainwashes is in the area of diet and disease / prevention. Worth a listen but start with the China study and then Campbell plan. great eye-opener. nutritional and holistic knowledge everyone should know. last 2 chapters too cynically complaining. I was disappointed with this book. I eat a plant based diet for the most part. I was hoping for a book about rethinking nutrition and the science behind the need for change in the American diet. I wanted facts about why we need to change the way we think about food and the kind of foods we choose to eat. What I found instead was angry finger pointing. 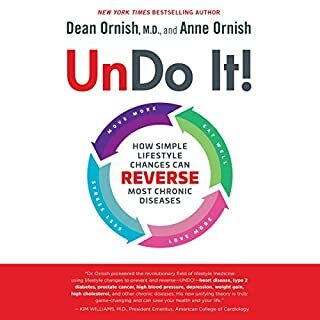 Much of the book was spent discussing how drug companies and the food industry and the allopathic health care world are wrong, terrible, and out to get us all. This point was dragged out in such a repetitive manner that it was beyond tiresome. I agree with the author that much is wrong with the system--but simply repeating that message doesn't fix the problem. This book felt like a missed opportunity to get an important message out there. To get people thinking and learning about how to improve their health by changing the way they eat. If that is the information you are looking for I'd try another book. 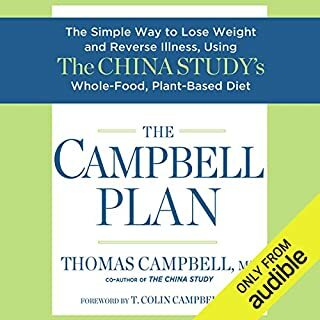 This book reiterates the findings of Campbell's The China Study that concludes a whole food, plant based (WFPB) diet significantly reduces illnesses caused by the standard Western diet. However, Campbell directly attacks the Medical-Agricultural-Academic complex as committing fraud on the American people by seeking maximum profits through largely ineffective and harmful medical solutions. 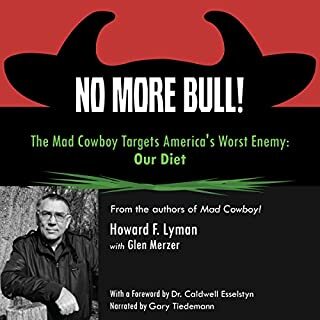 This book supports the premise that US medicine is purely a profit driven industry that will not acknowledge nutrition as the single most effective cure for most of the illnesses that prevail in America today. Campbell supports his conclusions that many doctors and medical researchers are in the pockets of Big Pharma and other ancillary industries that benefit from the status quo. With personal anecdotes and other studies, including The China Study, he questions industry-funded research projects which are skewed to reach the most profitable conclusions. Alarmingly, the medical industry itself is the third leading cause of death, behind heart disease and cancer, but this statistic is ignored by US government authorities. He also attacks the dietary supplement industry and genetic researchers as largely favoring a "reductionist" versus a "holistic" view of health and nutrition. It is profitable to sell a drug. It is not profitable to sell a lifestyle based on eating plants. This book is an excellent sequel to The China Study and expands on an increasingly popular theme that rightly contests the validity of what we're being told and sold. 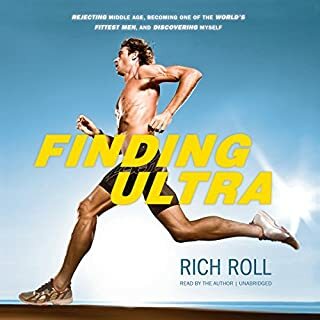 Books such as Wrong by David Freedman and Bad Pharma by Ben Goldacre are also excellent Audible selections in this genre. If you go into this book thinking it's about the whole food diet and its benefits, you're going to be disappointed. 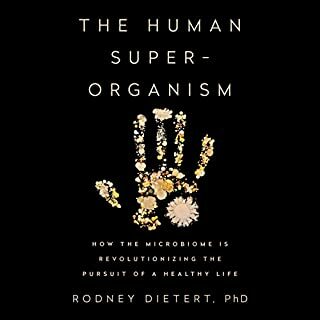 On the other hand, if you read this to learn about the dysfunctionality in the field of nutrition as well as the evils of Big Pharma, you'll be more inclined to enjoy it. What could T. Colin Campbell and Howard Jacobson have done to make this a more enjoyable book for you? It would have been great to have included more (much more!) on the benefits of a whole food diet. More case studies. Some concrete data would be great. There's a lot they could have done here to create a positive light on a whole food diet that might be motivating and I'm certain highly interesting. What does Don Hagen bring to the story that you wouldn’t experience if you just read the book? Don Hagen did a fine job with narration. Nothing about the narration distracted from the content, and I don't think his intonation conveyed any bias that wasn't actually present in the context of the story. If you could play editor, what scene or scenes would you have cut from Whole? I would condense the anti-pharma, anti-medicine content of the book (which was the majority of it) into a single chapter, and emphasized the necessity to maintain reasonable skepticism when dealing with medical or pharmaceutical issues. The premise of the book is interesting. Perhaps just re-titling the book "Rethinking the Science of Nutrition" would have been sufficient by subtly adjusting the reader's expectations. I would have loved more pro-whole diet information, examples, case studies, and that sort of thing, even if it is anecdotal. However, as it stands, the tone of the book is overwhelmingly negative and ends up coming across as mostly conspiratorial, which is sad given the potential of the topic. First off let me tell you where I'm coming from- Though ive been about 50lbs overweight for the last 10 yrs ( due to chronic pain and being bedridden etc. ), I've never "dieted". I've never believed in "dieting" I've always known dieting is a suckers game. Nutrition on the other hand is something that I have some interest in- but the constant circling, conflicting battles of good for you- not good puts me off. 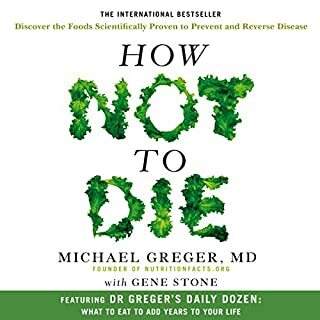 so When questions of nutrition arise I just use common sense to guide my decisions, that is- unless I find a book like this one, or china study. 2 years ago I came across the china study book by the same author and after looking that one up on the net, I was very impressed, so I bought a copy for my wife who is borderline diabetic and struggles with her diet and so is in particular need of concrete nutritional info. 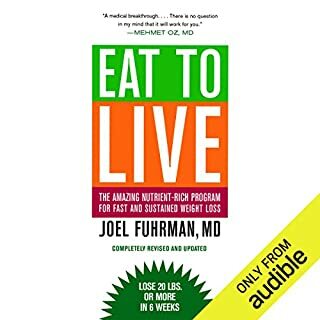 This I thought was a ray of light and truth in the diet-nutrition Disneyland..Then by chance I came across this book in the 3 for 2 credit sale. After listening to the sample I was captivated. I bought it and started listening to it right away. I was enthralled not just by the research or his credentials,or- the message but the writing itself ,its a very enjoyable listen. Its written as a grounded narrative and the narration itself is a perfect fit to the material which added a lot to thoroughly enjoying a book that is far from my usual reading fare. I rarely give 5 stars-or I at least try to save that status for something truly deserving. In this case I think the info is so important it merits a 5 star rating.Very persuasive- Very important-Very well written and Very enjoyable. What did you love best about Whole? I like the thought provoking insight that uncovers hidden agendas within the mainstream organizations and thought processes. It's the mainstream thought process that has led us to all the health and environmental issues that currently exist. His cadence is a little slow but methodical and somewhat soothing vocal tonality. If the slow pace doesn't bother you, it seems to work for the content. Good, but left unanswered questions. 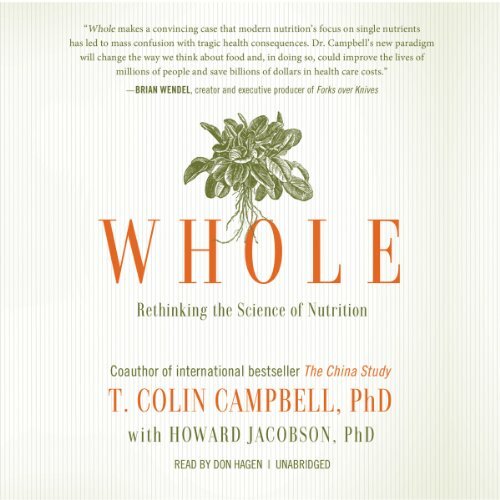 While I applaud Mr. Campbell's extensive career and efforts to uncover truth's related to health, medicine, nutrition and disease, it seems to me there are some gaping holes in his conclusions that a plant based diet is the only healthy diet for any human anywhere on the planet. Just from a purely logical point of view this raises some immediate questions in my mind. For example, should I assume that the only way an Eskimo could possibly be healthy is by eating plant based food. That is likely not feasible, and the Eskimo would likey not make it through the winter on that diet. One of the best books I have read on health and Nutrition is by Weston Price and is called Nutrition and Physical Degeneration. It clearly indicates that healthy primitive people living in different locations all over the world eat different foods and this does not always mean that animal products are excluded. In fact in many cases animal based food was integral to the diet and health. I agree that most people should consume more plant based food and less animal based food, but I think that it would be somewhat reductionist thinking to only examine one group of healthy people (e.g. Rural China) and conclude that their diet is the only healthy diet for everyone located anywhere. I think we need to look to nature and our own common sense and rational for guidance. Although, technology makes it possible to consume an extraordinary variety of food that is produced all over the world, this is probably not what nature intended. I think our diet should be more locationally and seasonally based upon native food sources. Unfortunately humans have been extremely effective in disrupting the natural order of life on this planet and natural is becoming a rare commodity. It is a positive sign that more people are becoming aware that the fate of human beings is inherently tied to nature and are becoming alarmed enough to begin taking action. I believe Mr Campbell is one of those individuals. Another must read from Dr. Campbell. It saddens me that his life saving research hasn't been embraced by the medical community, government or the media. Because of his previous book, The China Study, I am a healthy, fit and no longer live in fear of dying of the diseases of my parents. I encourage everyone to listen both of Dr. Campbell's books. Your life will never be the same. Loved it. Listened to it twice! learned a lot with Dr Campbell's China Study and now this wonderful book. Thank You!! You will see world differently after reading this! Some redundancy with the China Study but overall, good info. Well done and pleasantly presented. I downloaded this book yesterday and haven't finished it yet! I've been an Audible member for a few years and downloaded countless books, but never before has a book hit me so powerfully that I felt compelled to give a semi review before even finishing it! 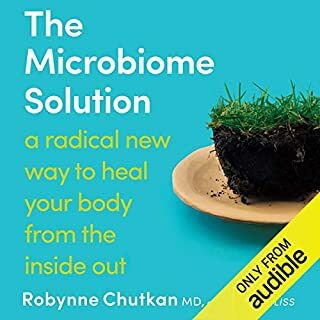 There is some fantastic information in this book and would surely make anybody that really listens and takes in everything that is being said, change their eating habits; how could you not!? well, maybe if you weren't REALLY listening to what is being said, or couldn't possibly imagine having to do without meat at every meal (and consequently not bothered about the impact on your own health!). Enjoying the content enormously -although it is a little scary at the same time in some ways, and by that I mean the power wielded by the huge food and pharma companies can stifle information that would be harmful to their profits and they are abided in this by governments with utter disregard to their own citizens! That is what is scary. I have replayed certain chapters a few times already, to just let the mountain of information, really sink in. Will be back to leave a fuller review when I've finished listening to it all a few times! What aspect of Don Hagen’s performance might you have changed? his voice somtimes pitches to high/hard noises which can be very annoing and ear-hurting if you have the overall sound on loud to understand everything in an noisy surrounding like a train. These Sound piches should have been smoothed out in the audio correction. Otherwise he hase a pleasent voice. 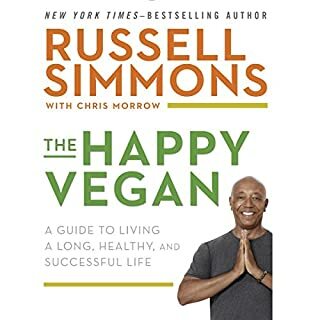 Particulary interesting I found every and all evidence of scientific nature he brought up in addition to his other book "The China Study" for a whole plant based Diet. The focus on the american health system and were it goes wrong in the later half of the book I wasn't much interested in. Nevertheless I heard the whole thing and feel better informed and this may help me find deficites in the health system of my own country. Wading through all the nutrition misinformation out there, this book is full of science backed data that everyone should know. Our health is our responsibility not our doctors, the government or anyone else. 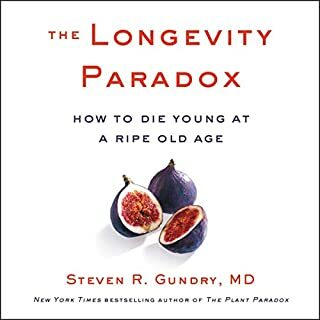 This book is a must read for everyone, particularly those on the 40s hitting their first health warning/crisis, and those much younger who want to avoid the damage! 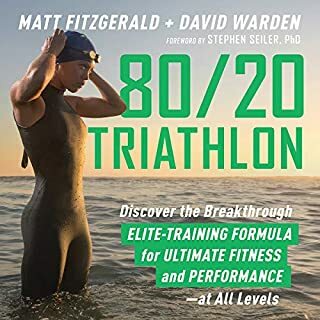 This is an eye opening audiobook that firmly and clearly lays out the benefits of nutrition for overall health. Knowledge that has been held back from the general population by a profit driven 'health system,' is illuminated and the whole plant based diet is shown to have multiplicitous positive benefits for each one of us. I listened to the majority of this book in my morning commute and it always put me in a good headspace for the day! Excellent read with eye opening new perspectives. everyone should read this book to be informed about what we are ignorant about nutrition. great read. A good discussion but nothing else. 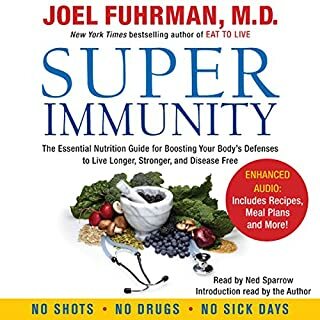 The author superbly discuss throughout the entire book health and food dilemmas and the ample social and economical ramifications associated with it. However he did not point the reader to any hard evidence or to any data (a part from the China study, which is mentioned over and over again). He advocates a whole food diet approach (that how he calls it, but it is pretty much vegan) as the solution to all chronic heath problems. I was left very unimpressed and completely unconvinced. Live a longer, healthier life. Understand how big business manipulates us all into eating unhealthy foods. I recommend this book to all athletes and coaches to improve there performance.